Here is a store that takes it’s “Employees Must Washup” directives seriously. 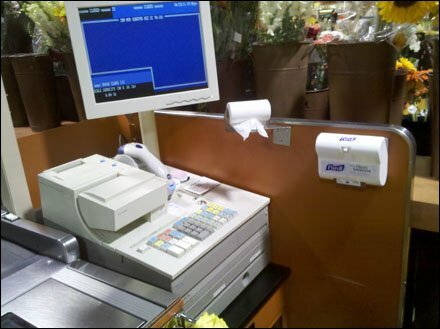 It even provides Purell Brand Miniature Cashwrap Sanitizer in the cockpit of the checkout. If I were Purell (or a competitor) I would provide cleansing stations like this free of charge to chains. Good advertising, and almost akin to a store recommendation of the brand. 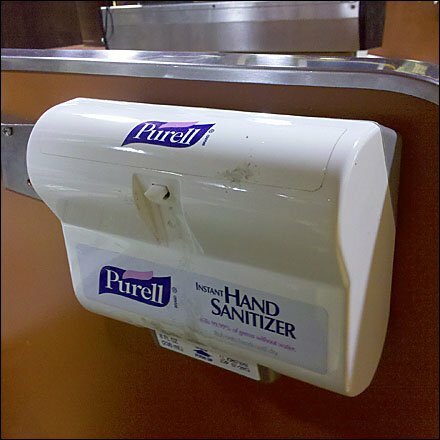 See the Purell Brand Miniature Cashwrap Sanitizer thumbnail another look.